Mark welcomes Paul Blake Smith to the show. 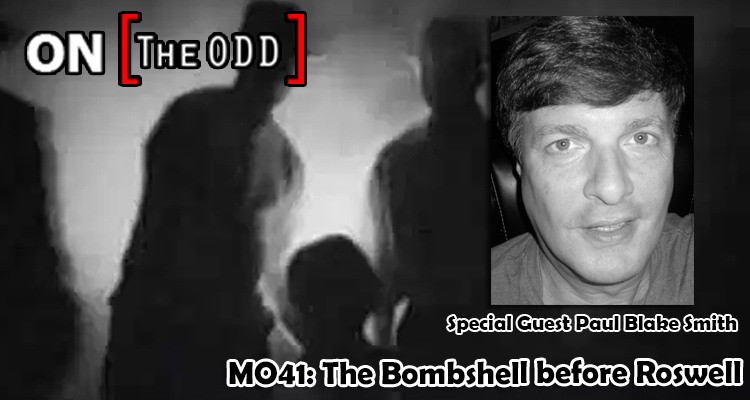 Paul Blake Smith, author of “MO41:The Bombshell before Roswell” was born and raised in MO41’s home town of Cape Girardeau, Missouri. Son of a paralegal and an educator who worked in the suspected crash area, Paul is a fan of American history and popular culture, living and working in a city in the western part of the Show-Me-State, writing original screenplays and other books on largely historical, non-fiction subjects – including a follow-up to his original fact-based publication about a massive cover-up by the US government.